|By Matein Khalid|The rise in Brent crude to $60 a barrel and the trade volume ballast generated by the world’s first post Lehman synchronized economic recovery is hugely positive for UAE economic growth in 2018. After all, the UAE is unique because Abu Dhabi’s 100 billion barrels of proven oil reserves is complemented by Dubai’s role as the Gulf’s financial, logistics, aviation, shopping and services hub. The UAE growth delta is unquestionably positive and GDP growth can well double to 3% next year. The 10% fall in the US Dollar Index has also historically been a reflationary tailwind for the UAE property markets. I also expect a counter-cyclical, expansionary Federal budget to offset dismal private consumer spending and the protracted banking credit crunch. Ceteris paribus, higher government spending, faster payment of contractor debt and a new public sector liquidity cycle/fiscal stimulus has had a “trickle up” impact on local property markets. Unfortunately, benign macro factors will not offset those that caused rents and capital values to fall sharply since 2014. Why? One, corporate consolidation (think NBAD-First Gulf, Ipic-Mubadala), the sharp downtown in global aviation, the oil and gas capex slump, the epic plunge in retail sales (Amazon is the Evil Empire for shopping malls!) and the sheer unaffordability of high end private education and health care has led to tens of thousands of executive job losses. Two, the Federal Reserve’s easy money era ended in 2017. The American central bank will shrink its balance sheet by $270 billion and raise interest rate in 2018. 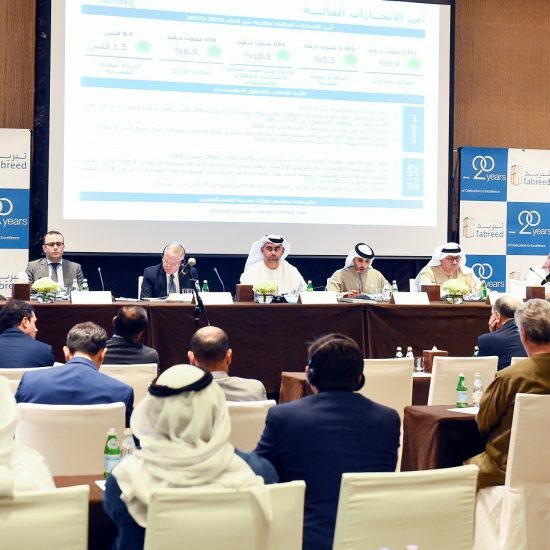 This means three month Emirate Interbank Offered Rate (EIBOR), the benchmark for consumer loans and home mortgages in the UAE, could well rise by another 150 basis points in 2018. This is hugely negative for a home mortgage market entirely dependent on floating rate bank debt. Three, the introduction of the Value Added Tax (VAT) at a time of flat consumer and business spending is negative for sentiment and private consumption. This will cast a big chill on demand for new home and office spaces in 2018. Four, despite the significant fall in home prices since 2014, affordability metrics relative to average income are far too high even now. Note that the only active villa market is the AED 2 – 3 million owner – occupier segment. Five, the luxury sector was dependent on offshore buyers that has been devastated by such events as the collapse/devaluation of the Russian rouble, Egyptian pound, Nigerian naira, Modi’s rupee reform, the Qatari, Lebanese and Saudi crisis etc. This explains the 50% fall in transaction volume since 2014. Luxury home prices will continue to fall sharply in 2018 and 2019. Six, not even “prime” areas such as Downtown and Palm Jumeirah have been immune to the market malaise. Burj Khalifa prices are now trading 70% below their AED 11,000 a square foot peak but still only generate only 2% (after service fees) return for investors. This is not market equilibrium. 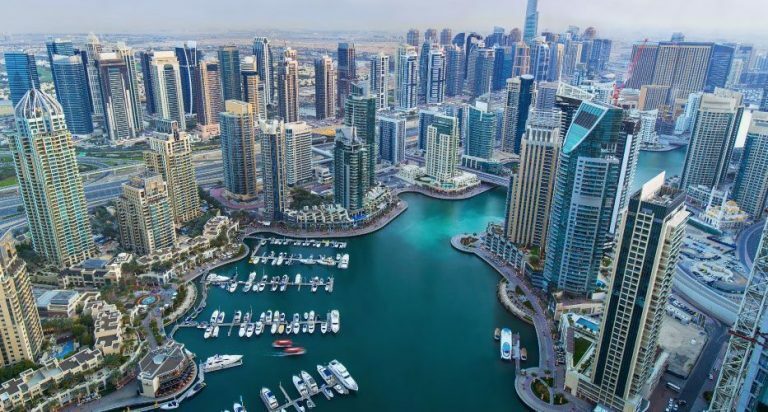 Seven, pockets of value have emerged in the multiple micro-markets that constitute Dubai real estate. Land prices in International City offer value after a 30% fall. It is possible to negotiate a labour accommodation deal at a 12% net yield for the cognoscenti in Al Quoz. Eight, the economic recession in Saudi Arabia, the Qatar embargo and the plunge in petrocurrency revenues in Kuwait and Oman have led to a fall in GCC tourists and home buyers. The political uncertainty in Pakistan, Britain and India has also hit demand from these three key feeder nations. 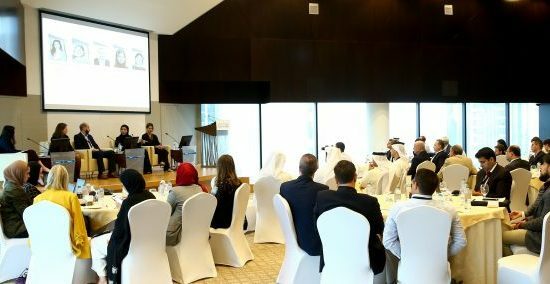 Nine, 40% vacancy rates in Business Bay, the 25% fall in Jebel Ali Grade A warehouse rents, the plunge in high end school enrollments and falls in hotel revenue per available room (revpar) metrics mean that the commercial property sector is still stressed, though could stabilize with higher GDP growth in 2018. Ten, price trend divergence across specific Dubai micro-markets will widen in 2018. Investors should avoid retail brokers selling 7% fee offplan “deals” and do their own due diligence via credible law firms. Avoid marginal, non-transparent, hard selling, undercapitalized, ethically challenged private developers like the plague. Eleven, take advantage of Expo 2020 projects and the new transport infrastructure in Dubai South. Remember, price is what you pay. Value is what you get. Oscar Wilde was so right. A man who knows the price of everything (Broker Bro! Dalal Bhai!) knows the value of nothing. Twelve, monitor rental trends, divergence between prime and secondary markets, interest rates, and banking loan growth in real time. Dubai remains the most vibrant, futuristic, networked, cosmopolitan city in the Arab world, a magnet for our best and brightest. Singapore’s meteoric rise from a colonial backwater of the British Empire and an amputated Chinese majority state of the Malay Federation to the world’s best governed, richest city state under the late Lee Kwan Yew is an Asian fairytale. If Asia is a growth warrant on the global economy, Singapore is Ground Zero of world trade, with exports 180% of GDP. Once mocked as a “nanny state” in the 1980’s (no Bonjovi haircut for teenage Karachi brats, la! ), Singapore is Southeast Asia’s banking, aviation, logistics, shopping, shipping, oil and gas trading and property hub as well as the incubator of sunrise industries that range from robotics to artificial intelligence software, aerospace design to biotech to e-commerce. After two years of flat corporate earnings in 2015 and 2016, Singapore Inc.’s EPS growth rose 11% in 2017, thanks to the first synchronized global economic recovery since the failure of Lehman Brothers and the onset of the Great Recession in 2008. Singapore’s GDP growth rose above 3% as exports, tourism and services (two thirds of the Lion City’s economic output) rose in unison. With US consumer confidence at 15 year highs and Chinese GDP growth above 6.5%, it is no coincidence that Singapore’s manufactured exports have begun to rise. After all, Xi Jinping’s Middle Kingdom is Singapore’s largest export destination even though Britain and the United States are its traditional economic and security patrons. Singapore’s Straits Times index (STI) rose 19% in 2017 as the financial markets priced in the new economic and earnings cycle. Even though Brent crude has risen to $60, Singapore equities have rerated due to the highest offshore fund inflows since the 2008 global financial crisis. Will the bull market in Singapore continue in 2018? Yes. Property prices have begun to rise, a ballast for the SGX’s 30 plus listed real estate investment trusts (REIT’s). Economic recovery is broadening as Asian growth accelerates, led by India, China and Southeast Asia. Foreign funds are accumulating Singapore, ASEAN’s best regulated stock market. The smart money from China, Hong Kong and Taiwan is loading up on Singapore’s office towers, hotels, warehouses and shopping malls. The Lion City is the ultimate proxy for Asian trade. I expect there will be a sell-off in Singapore shares sometime in the late spring. The three month Singapore interbank offered rate (SIBOR) is 1.4% now but is headed 100 basis points higher as wage inflation forces the Powell Fed to hike US interest rates. This will lead to sharply higher bond yields in Singapore and a fall in the STI to 3200 while the Sing dollar depreciate against the greenback to 1.45. True, the lesson of the Asian currency meltdown in 1997-98 was that foreign funds flee the Pacific Rim tiger economies at the speed of light when the economic climate turns from benign to malign. While I do not see this happening in 2018, I note that Singapore is vulnerable to external shocks, notably a US-China trade war or a global recession. MSCI Singapore trades at the cheapest valuation and highest dividend yield in Southeast Asia. Singapore trades at 14 times forward earnings, far below the 15 – 16 times valuations for Malaysia, Thailand, Indonesia and 18.6 times for the Philippines. The dividend yield is still attractive at 3.4%. Singapore REIT’s yield 5.8%, higher than peers in Hong Kong, Japan and Australia. As global growth accelerates, Singapore could well rerate to 14.6 times forward earnings by year end 2018. This equates to 3800 on the STI if my earnings growth crystal ball is on the money. I expect the Strait Times index to trade in a 3200 – 3800 range in 2018. In Singapore, my favourite sectors remain large cap banks (DBS, UOB), property developers (City Developments), office REIT’s (Keppel REIT, Capital Commercial Trust), hotel (CDL Hospitality), technology (Hi-P) and offshore marine platforms (Sembcorp). Risks? An inflation scare could cause the Powell Fed to go ballistic on interest rates. An oil supply shock in the Middle East could cause a spike in Brent crude. A Minsky moment in China would be catastrophic, as would a rise in local taxes (GST?). The geopolitics of the Korean peninsula is still fragile (hence my fondness for Raytheon shares as a hedge. Raytheon makes the world’s most lethal missiles!). Given the high correlations between the Straits Times index, Wall Street and Hong Kong/China, cross-market contagion at the speed of light is inevitable if Mr. Market’s mood swings turn ugly next year. I have been a diehard fan of software shares since 2013, when Satya Nadella replaced Steve Ballmer as the CEO of the Evil Empire in Redmond and reinvented Microsoft’s cloud franchise. The result? Mister Softy rose from 30 to 84 as I write in one of the epic valuation reratings I have even seen in the global software colossus founded by Bill Gates. The Next gen software shares that so captivated Wall Street – Salesforce.com, Workday or Internet security IPO’s like Palo Alto Networks or FireEye, all profiled in this column, provided epic money making opportunities on NASDAQ. Recurrent revenue models, M&A potential, rich intellectual capital, fabulous operating margins and global economies of scale all ensure that Wall Street will go gaga over software valuation multiples in 2018. Strangely, as I scan the software constellation, I see steady Eddie growth megacaps (Microsoft, Adobe), growth sizzlers (House of Benioff! ), fascinating potential four bagger IPO’s that will remain unnamed and sad sack value/fallen angels (Oracle, IBM – Deep Blue is one of the world’s great software developers/licensors). While I am sure that software shares will see a 10 – 15% hit if NASDAQ pulls back next year as the Fed rate hikes get ugly. This will be the time to pounce for new money. Artificial intelligence, the digital transformation of the Milky Way, new paradigms in cloud computing, the menace of cyberhacking, the viral nature of social media data traffic, the popularity of subscriber and not license models will all reshape the business models of the world’s finest enterprise software firms. If the Elizabethan Age was the gold age of English literature, if the Athens of Sophocles and Pericles were the golden age of Hellenic drama and oratory, our time is an age of ferment and innovation for enterprise software. The evolution of the public cloud development platforms is a game changer in software’s innovation curve, as is the mathematics of machine learning. In all the industries I know (and trade!) – banking, media, oil and gas, biotech, retail, mobile phones, autos – software creates new realities, new possibilities, a new DNA of the future. Those companies (and countries!) not at the edge of the digital frontier are destined to share the fate of brontosaurus without even the excuse of an asteroid hit! I can rhapsodize (rant?) on the aesthetic dimensions of software for hours but must now limit myself to a few basic insights that will make the Techie Central cringe. Database firm Oracle shares were gutted as the Street dissed its fiscal 2Q cloud revenue miss as evidence of a failed transition. As a fan of Soul Samurai Larry Ellison, I disagree. Oracle’s focus on hybrid cloud is a Fortune 500 imperative, not a failure to reengineer the business. VMware is no different but its shares have not been dissed down to 16 times forward earnings, even though Mark and Safra are the human capital crème de la crème in the Valley. Oracle is on the wrong side of Wall Street’s expectations curve, not Silicon Valley’s innovation curve. I concede Oracle overpaid for NetSuite but is latest database generation incorporates self-healing, artificial intelligence features. Mispriced? Yes. Salesforce.com is the world’s preeminent cloud computing growth platform, a stock that has literally minted thousands of multimillionaires since its IPO. In 2017 alone, Salesforce shares have soared 50%, even if they have lagged Workday (stay away!). The firm can easily deliver 20% growth in each of the next three years, thanks to the sheer scale of its installed base, its smart cloud merger and acquisition strategy, its rising wallet share in global markets and its best in breed CRM suites. Margins should hold in 2018 as revenue accelerates while cost synergies kick in. Will Mark Benioff buy Twitter? No, his deals are small, accretive software firms. My buy/sell range for Salesforce (for new money) is 85 – 120. Square is E-commerce payments platform for small merchants, a de facto closed loop software intensive ecosystem (think Apple!). Jack Dorsey, the Valley icon, co-founded Square in 2009 to help a glass blower friend sell his art work. Gross payment volumes (GPV), $60 billion now, could well rise 30% a year while the business boasts 5 million merchants transacting on its platform by 2021. Data analytics/AI software is its true growth engine. This puppy will win the Gorilla Game, as Paypal once did! A Happy New Year to all my valued readers.